One of the most common questions I get about this new blog is this: Why? When some people hear "blog" I think they get an outdated image in their mind, perhaps of some guy at home in his dirty sweatpants furiously pounding his laptop to get his off-the-wall opinions on the Interwebs. 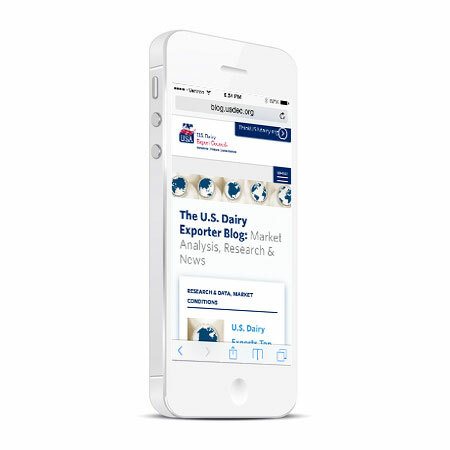 The reality is that blogs are becoming a source of valuable and accessible business information in the iPhone age, especially when they are tailor-made for a niche audience like U.S. dairy exporters and those in the broader U.S. dairy industry following exports. The best and easiest way to get updates is to "subscribe." That way, you can get email updates sent to your inbox as soon as we publish, or, if you so choose, daily or weekly. You can, of course, unsubscribe any time. There are at least five reasons to click the button above to subscribe today. Concise: You don't have much time. We get to the point. Fast: You get it instantly. Convenient: When updates appear instantly in your inbox they are hard to miss. Insightful: We mine the best nuggets of wisdom from USDEC experts such as Tom Suber, Marc Beck, Véronique Lagrange, Alan Levitt and many others, including myself. Mobile-friendly: You're on-the-go. We designed this blog for easy, seamless display anywhere you have Internet access, on any device, whether that's your smartphone, tablet or PC. 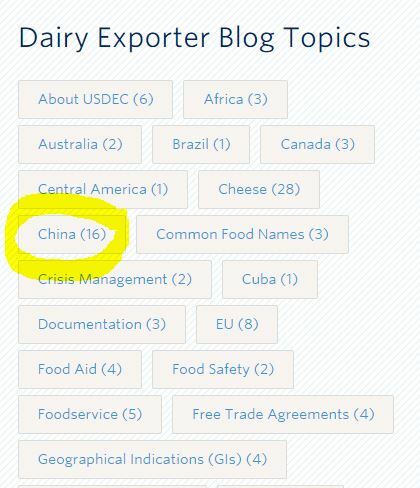 What's more, we made these articles "findable" by categorizing them by relevant dairy exporter topics ranging from "China" to "traceability" to "whole milk powder." 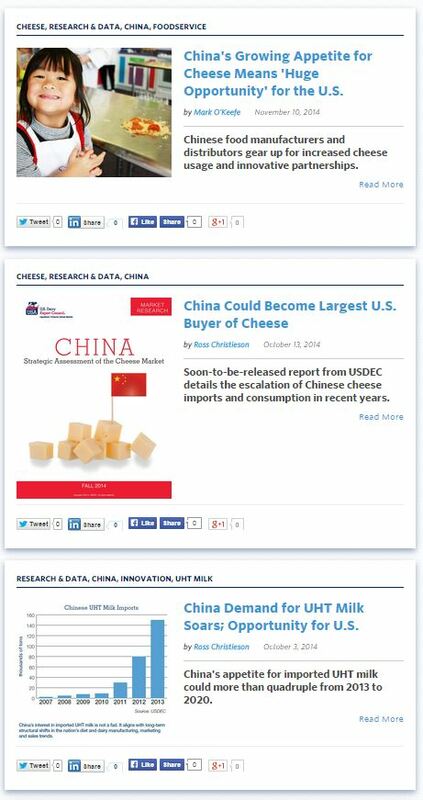 Click one of these topics, such as "China." Mark O'Keefe will serve as blog editor. More than 20 years in print journalism has taught him many things, but one of the most important is this: "Give the readers what they need, not what you think they want." So, readers, tell Mark what you need from this blog and he will do his best as its editor to deliver it to you. Reach him at mokeefe@usdec.org.